TAT License No.34/00099 E-TRAVEL INFORMATION CO.,LTD. 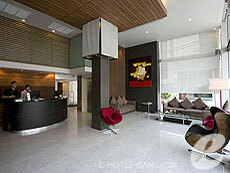 Sacha's Uno is attractive designed hotel, short walk to both BTS Asok station and MRT Sukhumvit station. All rooms are comfortable, clean and dressed in style with faux leather upholstery and dark-wood timber flooring including flat screen TV, Hi-speed Wifi internet, rain shower in the bathroom and well stocked mini bar. * Room facilities vary depending on room type. 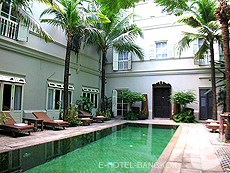 Located in a quiet area on Sukhumvit Soi 31, The Eugenia is an antique hotel opened in 2006. Each of the 7 suites is tastefully appointed with antique furniture and fittings, creating a warm pleasant atmosphere that will bring you back to the good old days. The staff serves the guests with a warm hospitality. 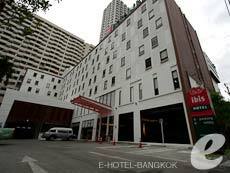 The hotel is located a 5-minute drive from BTS Asoke station. There is free transportation service from/to the station. 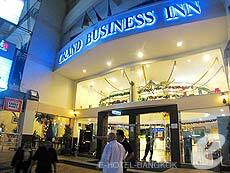 Located a 1 minute walk from BTS Nana station, Grand Business Inn is a boutique hotel which offers an excellent location for shopping, dining and nightlife. The facilities and services are basic, but they offer modern and new rooms at an affordable price. All rooms have free ADSL Internet access. It is perfect for business trips. Located on Sukhumvit 55 (Soi Thonglor), in front of BTS Thonglor station, Grand Tower Inn offers easy access to shopping and entertainment areas. This is a popular, reasonably priced hotel which boasts a wide range of facilities including swimming pool and sauna. 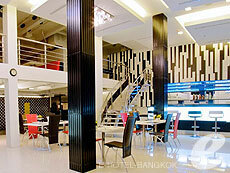 Newly opened in March of 2009, close to BTS Nana Station, Ibis Bangkok Nana is one of the hotels from Accor Group. The hotel offers a total of 200 rooms, and all of them are in Standard category. Shopping malls, bars and restaurants are all within walking distance of the hotel. 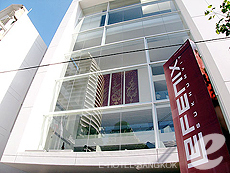 Newly opened in May of 2007, Le Fenix Sukhumvit is a modern designed hotel located a 5-minute walk from BTS Nana station. It offers easy access to anywhere in the city The hotel is fashionably designed with white and red theme, yet has a relaxing atmosphere. This is a new style hotel in Bangkok. 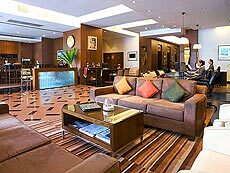 It is managed by Accor group which is one of the world’s largest groups with thousands of hotels worldwide. 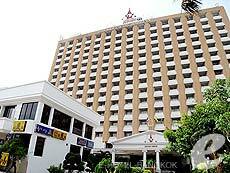 Regarded as a landmark on Sukhumvit Road, The Ambassador Hotel is a historic hotel in a prime location in Bangkok, just a short walk away from Nana BTS station and Sukhumvit MRT station. Great for both business and shopping. The rooms are renovated in 2008 to offer modern comfort. 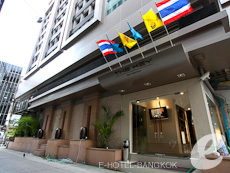 The Key Bangkok is a cozy little hotel, which is centrally located on Sukhumvit Soi 19, a 2-minute walk from BTS Asoke Station. A total of 37 rooms are divided in 3 categories, and the size varies from 34 to 68 sq. m. Each room is equipped with a kitchen, making it ideal for long term stays. Shopping areas, restaurants, bars, and entertainment places are all within walking distance. 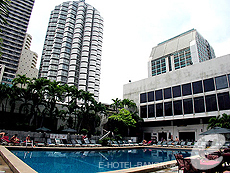 Copyright © 2010 - 2019 Discount Hotel Booking | E-HOTEL THAILAND, All Rights Reserved.